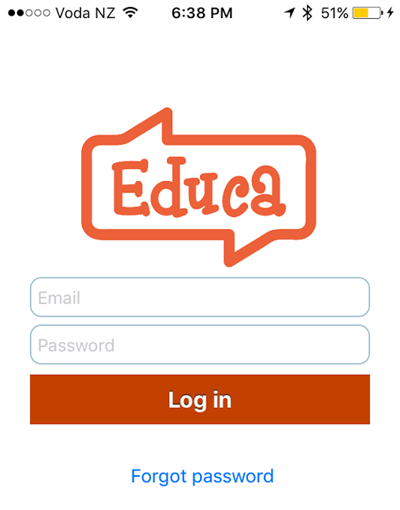 In this article you will be shown how to log in to the Educa Touch app on your Apple device, such as an iPhone or an iPad. Before being able to follow these steps, you will need to have downloaded and installed the app. 1: Locate and open the Educa Touch app on your Apple device by tapping on the icon shown below on your home screen. 2: Enter your login details, placing your email in the email input box and your password into the password input box, as seen above. 3: Tap the "Log in" button underneath these input boxes to sign into the app.